Web Design & Graphic Design Delft - Almut M.
Website development and graphic design for small to medium-sized companies since 1997. I create websites for small to medium-sized companies. I'm specialised in Contao web design and have worked with the Contao CMS over the past 9 years. Do you want a user-friendly responsive web design? Would you like to be able to update your website content yourself whenever and wherever you want? Then don't hesitate to contact me to discuss your website requirements. I visually present the advertising message for your target audience in such a way that your company stands out from your competitors. Based on your marketing strategy and with a broad range of creative, artistic and technical methods, I design your advertising. No matter how big or small your graphic design project is, I enjoy working with new clients developing great ideas. Because of the many different screensizes available today, it is inevitable to develop a website responsive. but many websites are still almost unusable on a mobile device because the design was created for fixed widths that go beyond the screen size of a smartphone or tablet. 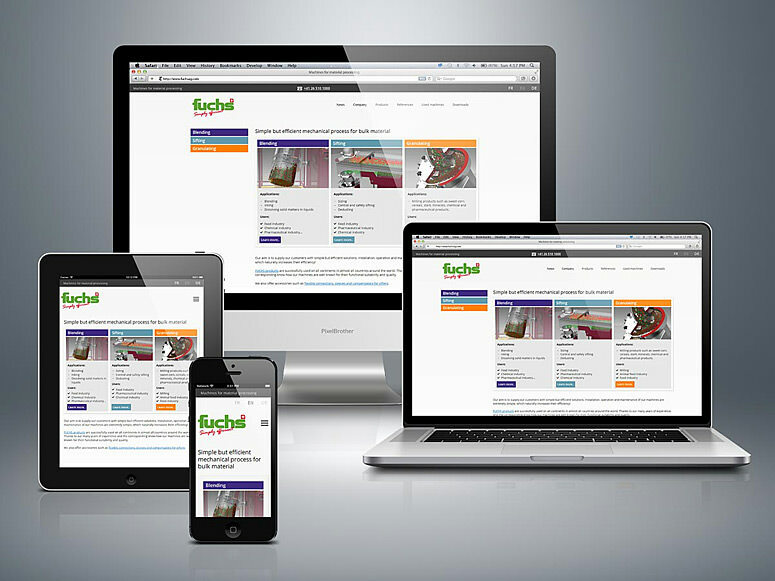 Responsive web design in four languages for Swiss engineering company with extensive filtering options. 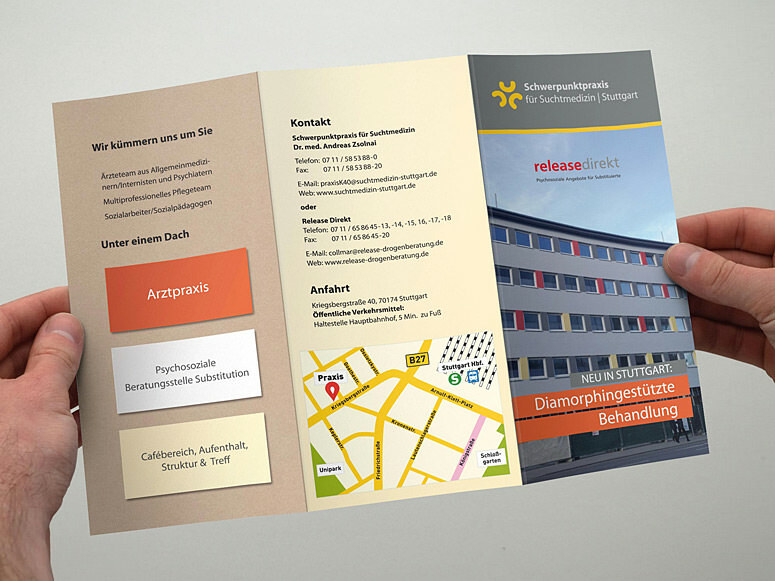 Flyer for a doctor's practice, 6-pages, 4-colored. I've received a wealth of feedback through my last customer satisfaction survey. I asked e.g. about the satisfaction level with my services and how my customers think about my services compared to those of my competitors. Now I can bring the results straight to you with this short video. Here are the 5 reasons why you should work with Almut M. | Graphic Design | Web Design.